Clear your calendar - It's going down! Comfort Our Vets Fundraising Gala kicks off on April 14th, and you're invited to take part in the festivities. Sal Giunta, one of the country's most sought-after speakers, will share his courageous story about saving his squad from the Taliban in Afghanistan and the importance of teamwork, selflessness and leadership. 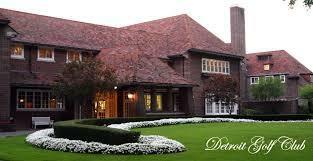 Dinner and raffles will be part of the festivities, and the Detroit Golf Club is our stunning meeting spot for a night of patriotic fun, colorful dignity, and excitement! Sal Giunta is the First Living Medal of Honor Recipient Since the Vietnam War and Author of Living with Honor. Saving his squad from the Taliban during a deadly ambush in Afghanistan, Sal Giunta shares—with unassuming humility—his courageous story and the importance of teamwork, selflessness and leadership. Joe VanFonda is the CEO of the Disabled Veterans National Foundation. VanFonda, Sergeant Major (USMC Ret), served in the United States Marine Corps for more than 27 years. He retired out of Quantico, VA in 2013 as the Regimental Sergeant Major for the Wounded Warrior Regiment. In this role, he was responsible for the coordination of non-medical care for combat and non-combat wounded, ill, and injured Marines, as well as Sailors attached to or in direct support of Marine units and their family members in order to assist them as they returned to duty or transition to the veteran status. Your RSVP/ticket will help raise $100,000 in support of disabled and at-risk veterans who leave the military wounded—physically or psychologically—after defending our safety and freedom. One hundred percent of the event’s net proceeds will go to provide health and comfort packages to Michigan homeless veterans. Giving isn’t so much a matter of how much you have in your bank account; rather it reveals how much love you have in your heart.